Change is the one constant in life. If you’re leasing a car, those changes can sometimes mean you’re stuck with a vehicle that you can no longer afford, no longer need or simply don’t want. There are ways to get out of a car lease early, but most of those options aren’t very appealing. They can carry significant financial penalties or put a big dent in your credit score. With lease assumption, though, you can often get out of your car lease without having to pay the price. When you lease a car, you sign a contract stating that you’ll pay a certain amount each month for a certain number of months. Since you don’t own the car, that contract remains in effect even if you try to return the vehicle or trade it in for a different one. In other words, you can give the car back to the leasing company and you’ll still have to pay the full amount of all the payments remaining. 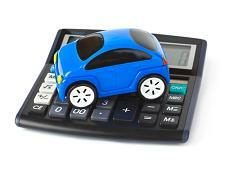 In fact, you’ll often end up paying more than if you had kept the car, because of additional early termination fees. You could avoid those fees and lease payments by having the car repossessed, but good luck getting a future lease or loan with a repossession on your credit report. Or, you can simply get someone else to take over the lease contract through a lease assumption. With a lease assumption, you transfer the lease contract to another person who will make the rest of the payments. Though the car may no longer meet your needs, it can still be the perfect vehicle for someone else. They get the benefit of a shortened lease contract with payments they can afford, and you get the benefit of ending the lease early without paying additional fees. The specific rules regarding lease assumption vary depending on the leasing companies involved. To learn all the details about lease assumption and get help in transferring your lease, please contact the experts at Swapalease.com. This entry was posted in Leasing A Car, Saving Money & Reducing Car Expenses and tagged choosing a used car, credit score, lease assumption, leasing a car, transfer leases by admin. Bookmark the permalink.